On the outskirts of Philadelphia, the 1,000-plus-unit Presidential City complex has been returned to its former glory. The building, originally designed in the 1950s, has been a recognizable landmark for over 60 years. It was once one of the most cutting-edge apartment complexes in the city, but after years of stagnation, that changed. Post Brothers acquired the development in 2013 and instituted a $120 million repositioning/redevelopment initiative, making it the single largest residential redevelopment in the Philadelphia region. In revitalizing the four-building apartment complex, Post Brothers prioritized long-term sustainability. Greening the complex required full gut renovations, and, now, 50 million pounds of carbon dioxide emissions per year are saved through the sustainable features incorporated. Green upgrades include LED lighting and Energy Star appliances installed throughout the complex; windows filled with argon gas and finished with heat-blocking coatings to further insulate the residences; high-efficiency building envelopes; and thermally insulated roofs. The transformation includes the creation of the 3-acre Sora Pool Club. 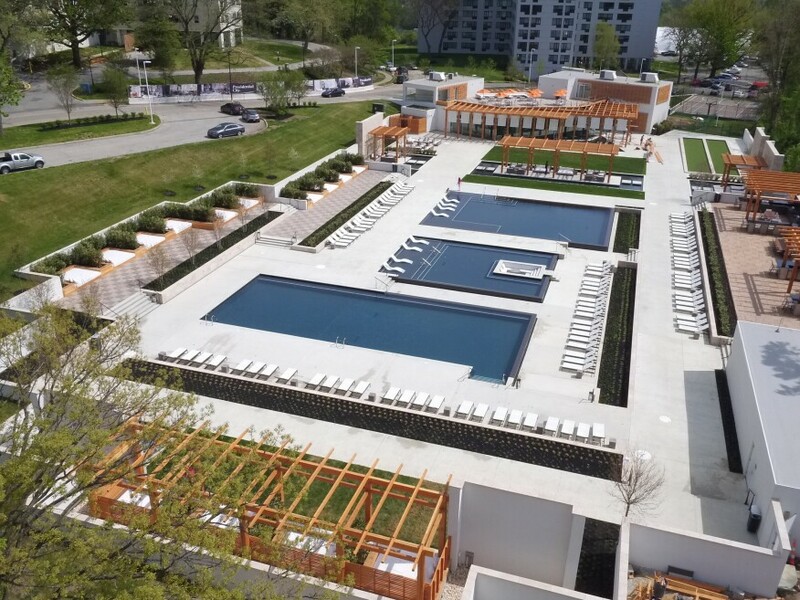 Before the renovations, Presidential City included an outdoor pool, café, and cabanas that were run-down and structurally failing after years of neglect. The investment in the property seems to be paying off: Average monthly rents have jumped from $988 to $1,797 since the rehab was completed.